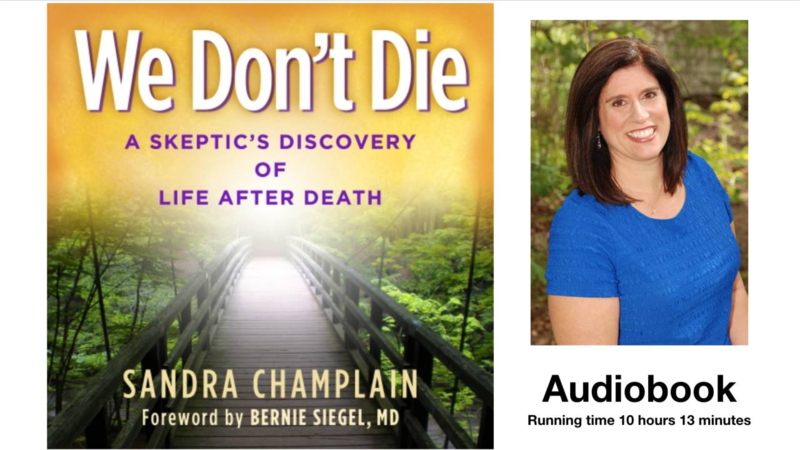 The fear of dying led Sandra Champlain on a 15 year journey to find evidence of the afterlife. Courageously, she now shares her personal story from skeptic to believer, along with proof that our deceased loved ones can still see, hear and communicate with us. Sandra also shares new information on the how our brains function during the grieving process and provides tools that ease pain and saves lives. It is now your time to find out who you REALLY are and discover for yourself that "We Don’t Die". #1 International Bestseller, "We Don't Die - A Skeptic's Discovery of Life After Death" is now available as an audiobook! Play each chapter individually with online links to resources and special bonuses. 100% Money-back guarantee.